Simeri Crichi is a small town in the province of Catanzaro, at the foot of the Sila Piccola, on the Gulf of Squillace, bordered by the Jonian Sea and the rivers Alli and Simeri. It is composed by two urban centers: Crichi, set on the slopes of a hill, was founded in the XVIII century by a group of farmers from Sellia, and Simeri, the oldest village of medieval origin, perched on a natural terrace. Although numerous findings attest that Simeri was inhabited since the Bronze Age, the village was founded in the IX century, when Saracen raids on Calabria coasts forced the inhabitants to find safe refuge in the inland area. In the X century the Byzantine castle was built. These were the feudal lords of the village: the Falloc, Ruffo, Centelles, d'Aragona d'Ayerbe, Borgia, Ravaschiere, De Fiore, Barretta Gonzaga and De Nobili. The inland landscape is characterized by citrus groves, olive trees and Mediterranean vegetation; the coast, indeed, is rich in pine and eucalyptus trees. 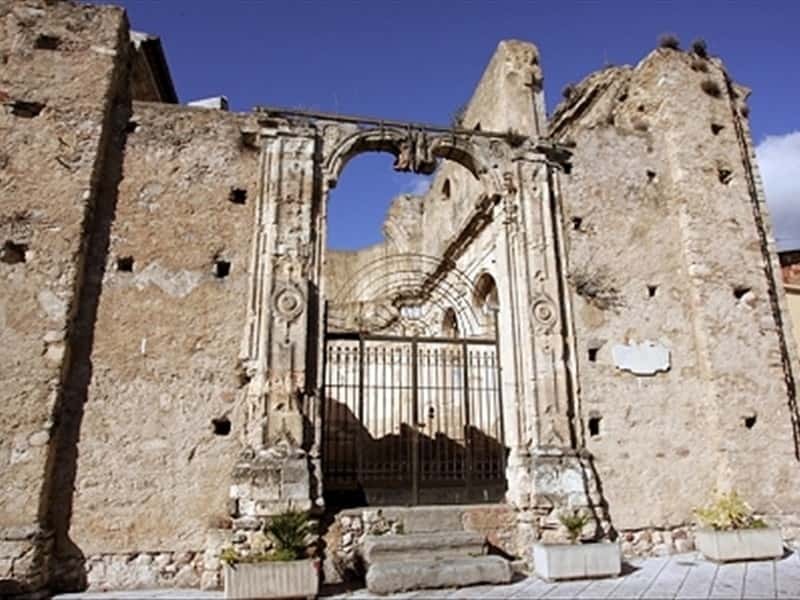 - the remains of the Capuchin Monastery (XVI century), founded in 1594 by order of don Pietro Borgia, lord of Squillace and Simeri. This town web page has been visited 11,375 times.